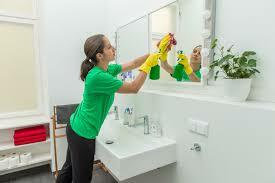 We are looking for a live-out Housekeeper to work 5-6 mornings/week in a clients home. This is a part time placement. The principal is living with his wife and 2 children (ages 7 and 10) in Marylebone, London. As a location, Marylebone is a chic residential area with a village feel, centred on the independent boutiques and smart restaurants of Marylebone High Street. Tourists queue for the Madame Tussauds waxwork museum and the Sherlock Holmes Museum, the latter in the fictional sleuth’s home at 221b Baker Street. It is simple to get to as it is has many different underground stations and bus routes passing through this location. The family is looking for someone reliable, clean and who really does the job very properly and to a high standard.